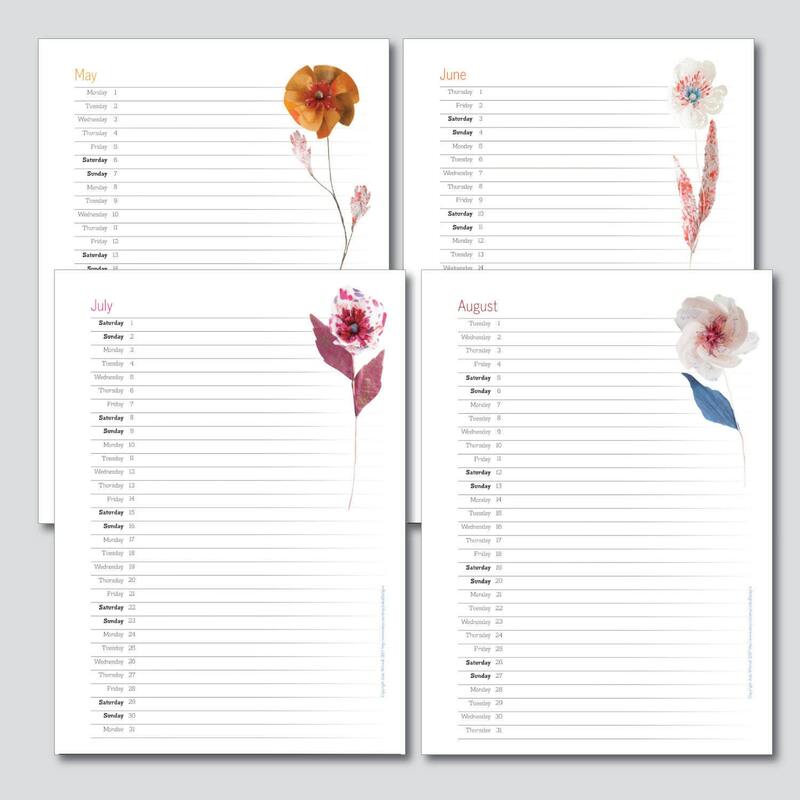 2019 flower wall calendar with colourful monthly pages. 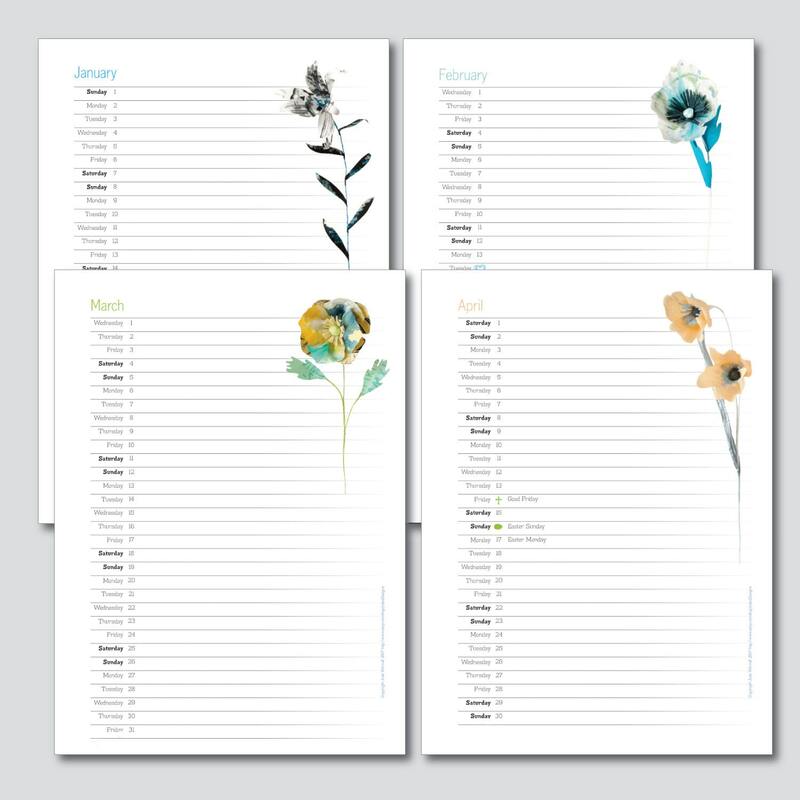 This is a printable planner / calendar for you to print yourself at A4, A5 and Letter sizes. 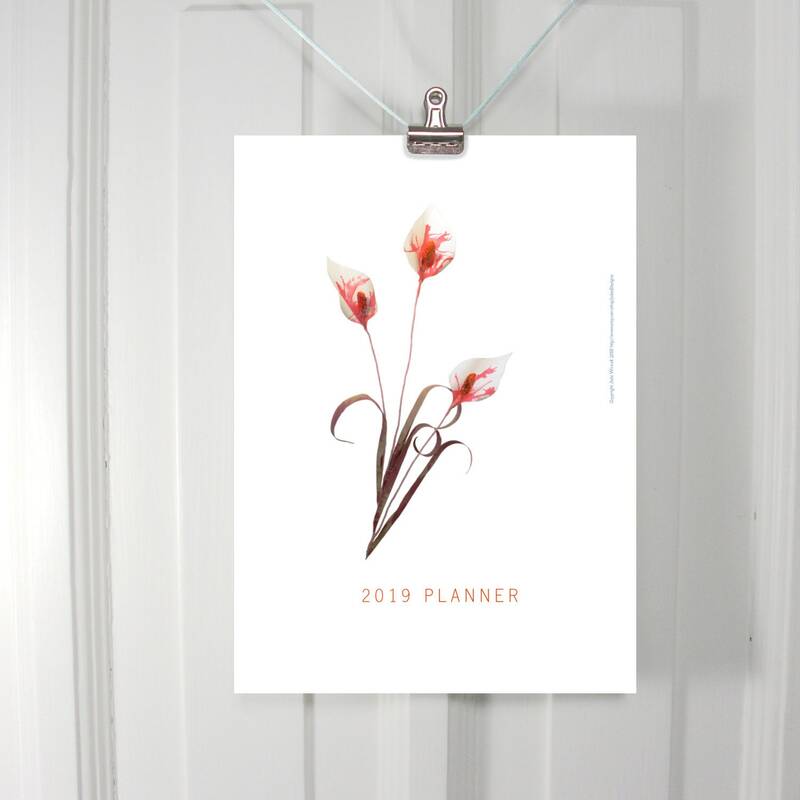 It features paper flowers that I made and photographed, modern typefaces and wide rows for your daily plans. 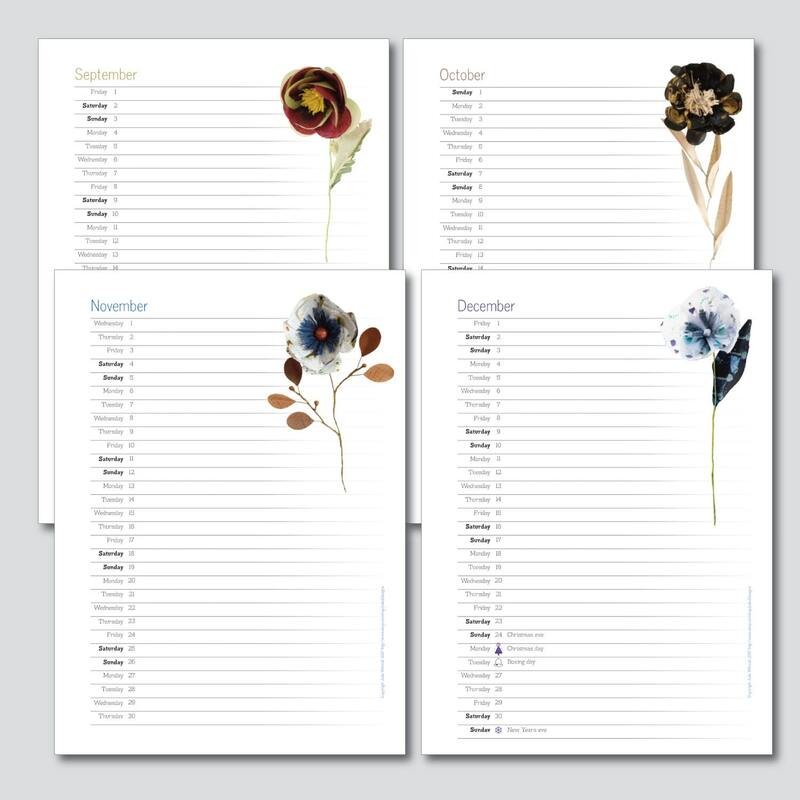 The lovely colours of each month's flower echos the changing seasons. 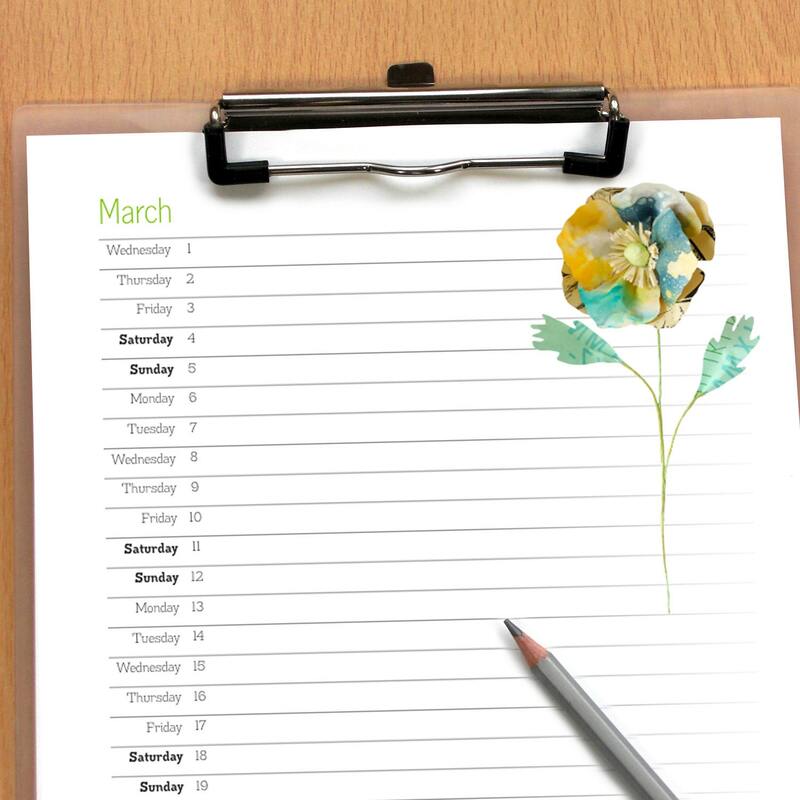 It is useful too – you can write quite a lot on each day of the month because it has wide rows. Then you can see the whole month at a glance. The pages can be used on a clipboard or held together with a bulldog clip on a piece of card. This can sit on your desk or hang on the wall. Another way of hanging is to punch one or two holes along the top edges and insert a cord or treasury elastic. Or you can simply punch holes on the left hand edges so it fits a ring binder or Filofax style organiser. • One month per page. January 2019 to December 2019 inclusive. • Valentines Day, Easter, Halloween, Christmas and New Year are indicated. • Prints in colour or black & white. • No watermarks on images. Very small copyright credit on right hand edges. • Instant download. 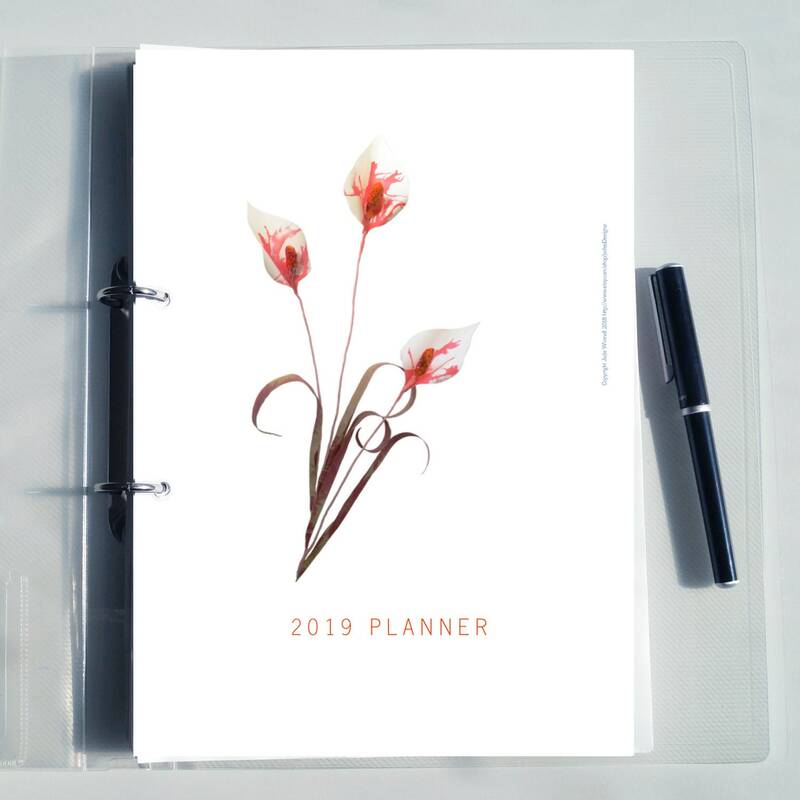 The planner will be available to download as soon as you have paid. Every page has a small copyright credit running up the right hand edge which will not interfere with your plans. Item as pictured, thanks for a wonderful calendar!